À distance de marche de la navette gratuite. 15 minutes du centre-ville et la télécabine à crête 7 & 8. Situé sur les routes pavées sans issue, bien entretenu dans les mois d'hiver. Sur le côté est de Breckenridge sur le mont Baldy. We had an amazing trip! This home has everything you could need and a fully loaded kitchen. Comfortable beds and very nicely furnished. Wish we could stay for longer. I think this will be our spot to stay in the future. The house was wonderful, a perfect mountain home. Fully equipped with everything we might need and more. Beautiful views, just far enough from town to be away from the crowds, yet close enough to be a quick drive. Very clean, lots of extra amenities, and very comfortable. We loved it! 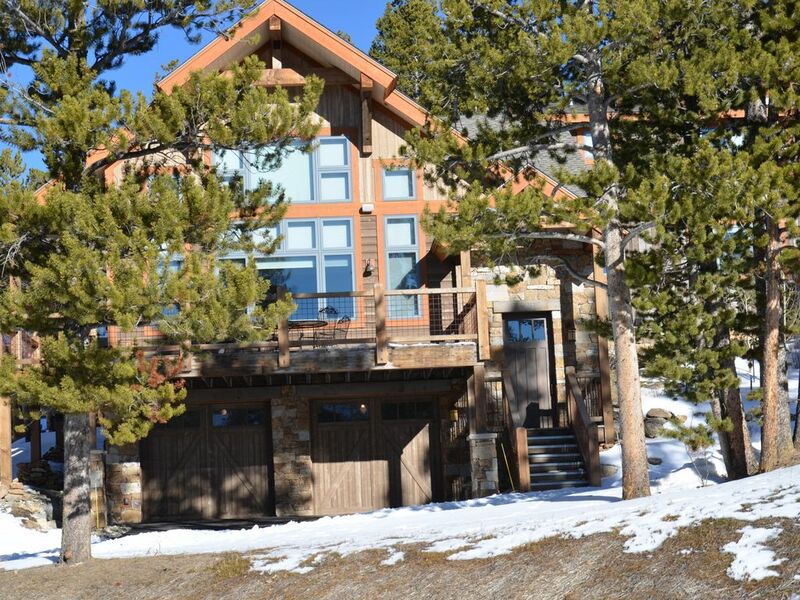 A beautiful home with an outstanding view of Breck mountain! Everything about this home is top-notch! The house has everything you could need and we were very, very impressed! My grown siblings and their spouses (ages 27-33) loved this place! The views towards Breck from the living room are great, the kitchen is well stocked, and the stereo sound system through out the house was put to good use. The road up to the house from town is sporadically plowed. It snowed ~2 inches the day we left, and the rental Kia Rio made it down just fine. But going uphill in a recent snow might be tough for a subcompact car. The free bus is great. Parking is fairly expensive at the mountain, and the walk down the hill to the stop isn't onerous. A very common questions "Is 4 wheel drive needed?" I highly recommended having a All-Wheel or 4 Wheel drive vehicle while winter driving in the Breckenridge area. During an active Traction Law (also known as a Code 15), motorists must have either snow tires, tires with the mud/snow (M+S) designation, or a four-wheel/all-wheel drive vehicle. We cannot even describe how beautiful, spacious and comfortable this home is! The views of the ski slopes and mountains in every room are breaktaking! The woodwork and decor in the home is beautiful. The rooms are spacious and all the furniture is top notch, including sleep number beds! Everything we needed was provided at the home, from various kitchen wares to a fantastic Sonos sound system throughout the house. We also loved being able to park in the garage. The location is about 10 minutes from downtown, but the roads were well maintained. We will absolutely rent from John again!